April marks the start of Autism Awareness Month. 1 in 68 children have been identified with Autism Spectrum Disorder (ASD). ASD is a developmental disability that can cause significant social, communication, and behavioral challenges. State and federal government agencies provide extensive information to educate and improve autism awareness. The U.S. Department of Health & Human Services provides a thorough overview of autism, including tips to identify the signs of autism. The Centers for Disease, Control, & Prevention provide a helpful fact-sheet, as well as information relating to screenings and diagnosis. Medicaid provides information relating to services for those with autism. At the state level, the Autism Society of Indiana includes local resources relating to autism. For more information, please visit the National Institute of Neurological Disorders and Stroke and the U.S. National Library of Medicine. 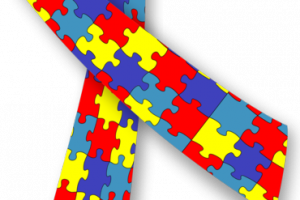 The Autism Society is the leading organization for the promotion of autism awareness. National Autism Awareness month provides the ideal setting for educating, promoting, and raising awareness and acceptance of autism.